One half of life is luck; the other half is discipline – and that’s the important half, for without discipline, you will not know what to do with your luck. Sometimes people misunderstand the difference between discipline and punishment, believing them to have the same meaning. Not so. Discipline refers to the training adults give to youngsters to bring about self-control. Consistent, gentle discipline causes life-long changes in the mind and character of children. Punishment is meant to cause pain or discomfort for breaking rules. Typically children are verbally scolded, sent into time out, relieved of toys or special privileges (e.g. TV time) or even given physical hidings or smacks. Punishment can, of course, form part of disciplining but it should never be the only way that parents use to correct wrongdoing. 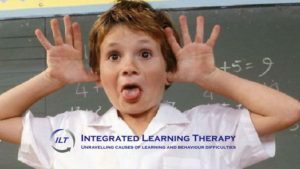 Ignore unacceptable behaviour.This can be useful and effective for many problem behaviours such as sulking, whining, interrupting, begging for treats, or insulting authority figures (parents/teachers). There are situations where you cannot ignore the child, such as when they are physically hurt. Don’t try to ignore behaviour if you are truly angry inside because children will pick up on your fury and know their behaviour has had the desired result. When you ignore, you should try to avoid paying attention to behaviours that you have clearly explained as being unacceptable. Setting boundaries. Children should have set limits that are strictly enforced with patience and firmness. Give simple orders. Keep your instructions simple, clear and brief. Children are confused if too much detail is given.Also try to give instructions one at a time rather than a whole list of them. When you speak to your children, look at them and don’t call out orders from a distance. If you have any doubt as to whether a child has understood your instructions, ask them to repeat them to you. Give choices within limits. Children want and need to feel some control.Having some positive control helps them be independent and confident. Rather than always giving orders, set limits instead. Parents can also involve children in determining the disciplinary process and setting consequences (punishments). This helps development of independence and cooperation. Help children understand consequences, which are the results of choices the children make.There are two kinds of consequences: natural and logical. Natural consequences just happen. For example, if children do not eat, they get hungry. Logical consequences is created by parents, so a child who purposely hits his sister with his new toy will have to give it up. Be consistent.Always treat the same behaviour the same way, no matter the place or time. The more consistent you are, the more effective disciplining will be. Parents need especially to stay consistent in public, which is usually the most difficult and unpleasant. Don’t worry about what others are thinking but simply persist in maintaining the limits that are important to you. For example, if a child misbehaves in a restaurant, the child should be taken outside for a while. She can return after a while but don’t keep food for her. Although unpleasant, missing her food treat helps to teach her the limits. Notice good behaviour.Be sure to catch your child being good and obeying limits. Let them know you approve by positive words and actions. The source of this information was based on the book ‘Help your child to cope’ by Dr Cai Yiming & Dr Daniel Fung. There’s no doubt that children who enjoy reading have an advantage at school. Good reading skills simply make learning that much easier. Enjoyment of reading, however, is difficult to achieve – especially in this day of high amounts of visual input from media devices. Some children may resist reading instruction and consequently fall behind. In addition, the Education Department is compelling schools to start the teaching of reading at Grade R level, which might be a little young for some children. The result may be the development of reading anxiety, leading to less than competent reading skills. This in turn may lead to underachievement. Children shouldn’t be forced to read aloud to their parents at home. This is because some parents are anxious about their child’s reading and may pass this on to the child. When children read poorly, most parents feel tense.Obviously a child who enjoys reading aloud may do so if he or she choose to do so. Parents should continue to read aloud to their children way past the age when they can read for themselves.Sharing the enjoyment of books is important, and there is no reason to stop reading together – even up to Grade 8. Children should be allowed to stay up half an hour later at night if they’re in their beds reading to themselves.They won’t miss out on sleep because they’ll most likely fall asleep with the books on their chests. Certainly the reading time allowed will be beneficial. Encourage children to read whatever they like during that half hour before sleep.Don’t insist they read school prescribed or grade-level material. Comics, cartoons, sports magazines, easy material and books already read numerous times are all good for reading enjoyment. The important thing is that they learn to love reading. 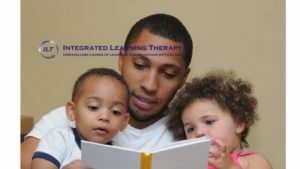 Interest in broadening their reading repertoire will happen as their reading improves. Encourage children to read stories while listening to tapes of the stories. Don’t be too concerned if it seems they are not actually reading: they will eventually. Model reading by having books on hand that children see you are enjoying. Newspapers and magazine count as well. Encourage children to read to their younger siblings – as long as the younger children are not better readers than they are! Try to leave the children alone while they are reading/listening. Don’t hover around them. Visit and browse through bookshops and libraries when out shopping.Make sure you have enough time for these visits rather than simply rushing in to exchange books or buy a book. Obviously it’s important that children belong to a library, where they can spend valuable time. Stress is an inevitable part of our modern life and it is a myth that children are immune or in some way protected from stress. When adults are stressed, they turn to others for comfort, attend stress management seminars or simply try to work it off at the gym. When children are stressed, they have fewer avenues they can turn to for relief and help. Sometimes their cries for help are misunderstood or ignored, but stressed children always need the help of adults who can help them cope. The word ‘stress’ is from the Latin ‘stringere’ which means ‘to draw tightly or bind.’ In the physical sciences, the term is used to define a physical force which can modify the form of a system. For example, a stick may bend when force is applied to it. Stressors in human life are psychological and social forces in the form of events or situations that exert a distorting effect on a person’s equilibrium. Stress related physical problems appear, such as headaches, tummy aches, asthma, forgetfulness, temper tantrums, fatigue, tearfulness, fearfulness, sleep difficulties and many others. Continued stress impairs the immune system’s functioning so children’s immunity to disease and illnesses drops. They pick up infections easily and become continually tired and lethargic, despite plenty of rest. How can stressed children be helped? This article was sourced from the book ‘Help your child to cope’, written by Dr Cai Yiming and Dr Daniel Fung. Most of you have been faced with a child in your class who simply cannot sit still. He is always squirming in his chair and seems to have little bodily contact with the chair! When he does occasionally sit on the seat, he almost immediately puts one leg under him. He then keeps shifting the leg as it begins to ‘fall asleep’ from the pressure of his body. He may also keep playing with his clothes, his pencils, his books. All his teachers complain of his constant movement. Yet, if he stretches out on the floor to listen to a story or watch a programme on television, he keeps still and quiet. What’s the problem here? Is he naughty? Is he bored? Is he ADHD? What such movement can probably mean is that he can’t sit still because he is hypersensitive to touch, particularly in the area along his sciatic nerve (buttocks and legs). The fabric of his clothing rubbing against the chair and into the back of his leg (especially behind his knee) is ticklish. He may not even realise this since he has been trying to block that sensation and pay attention to the lesson for most of his life. He might be able to sit a little quieter on some days – maybe he is wearing softer clothes (an older, well-washed school uniform) or perhaps he is more relaxed today and feeling less stressed. There are many reasons for a child behaving in restless ways. This is just a thumbnail sketch to help your awareness that too often adults jump to conclusions about the underlying causes of the way children try to cope in the classroom. It’s quite common that primary school learners show uneven development when it comes to fine motor skills. The small muscle coordination needed for printing and writing seems to develop more slowly than other abilities. This is more often seen in boys than girls. The boys, however, seem to be better able to manipulate small objects like Lego, computer mouses, and screwdrivers than pencils, so their skill with these objects doesn’t reflect their struggles to control a pencil. Many of them may, as a result, develop some anxiety related to written work. They may be fluent speakers and communicate brilliant ideas or relate experiences with gusto, but come to a halt when asked to write it down. Children typically equate ‘fast’ with ‘smart’ so when they cannot produce good written work quickly, they stop trying, work too fast and carelessly and make excuses about written work being ‘too boring.’ This develops into them disliking writing and developing anxieties about written tasks. Encourage the child’s use of a computer or other keyboard for all drafts when asked to write a story or complete other written tasks.The schools are more open to this these days and may even allow the child to hand in the printed work rather than struggle to write it out. Allow your child to use fine line markers instead of pencils as their fibre tips run more easily over the paper. Ask the school to give permission for their use in the classroom as well. Try this ‘speeding’ exercise. It’s a personal self-competition model. They can copy written material or write out maths facts. You’ll need a stopwatch and multiple sheets of the same maths facts or written material to copy. Have them first copy the material and set a baseline time to record on a calendar.The next day they can write the same material and mark the time. The goal is to beat their own time. Writing the same material every day may get boring, but they’ll soon fine they can write much faster. They’ll become much more relaxed about times tests if timing becomes a daily habit and they can see their improvement. Of course, some children need help to strengthen the small muscles responsible for pencil control. Usually help can be given by an Occupational Therapist and schools are quick to refer to these professionals. The child squeezes and releases a stress ball in one hand several times, then changes hands. Encourage the habit of using the stress ball during times of relaxation, such as watching TV or driving in the car. The hand does get tired as the muscles feel the work-out so don’t overdo it.Doing the exercise regularly is more important than the length of time spent on it. Take a length of toilet paper (start with about 1 metre).The child holds one end in his hand and crumples the length into a ball in the palm of his hand. When he’s finished, straighten the paper and let the other hand have a turn. Even though we want to strengthen the muscles of the writing (dominant) hand, we want to work on both hands. This activity can also be done while watching TV or driving in a car. As the hands get stronger, lengthen the strip of paper. A lot of attention is paid to the tragic fact that many children attend school on empty stomachs, don’t bring a packed lunch to school or buy ‘junk’ food from school tuck shops. Why the hype? The reasons are simple. First, children’s nutritional needs are very different from those of adults. They have smaller stomachs so cannot eat the same quantity of food at mealtimes than adults do. Yet they are growing: they are building bones, muscles and brains. Most adults eat to merely maintain their bodies and supply their brains with the glucose it needs to function well. Grade 5 learners will have doubled their size since Grade R. This means that they need a lot of good food every day. Apart from the biological demands of growth, we are all aware that learners who are hungry are not able to focus or sustain attention in class. Many show behavioural difficulties and can be discipline problems. There are research studies showing that nutrition is critical for a child’s brain and those who have a good breakfast tend to function better during the school day than those who have nothing to eat or who have to cope with sub-standard food. Lack of finances are a problem faced by parents but there is also a question of choosing healthier foods. For example, a young boy admitted to a health professional that his usual breakfast consisted of a slice of white bread spread with margarine and sprinkled with sugar. This is not nutritious. With this breakfast, his blood sugar will spike, leaving him on an immediate ‘sugar high’. Remember that white bread is very quickly digested into glucose. In some children this leads to hyperactivity and impulsiveness, so they can’t settle down and learn in school. Poor quality margarines also contain trans fatty acids which don’t lubricate the brain in the way healthier fats do. Substitute the white bread for a low GI seeded bread and spread it with peanut butter and the same child will have fuel to last him until mid-morning. Break time at school is the time for another nutritional top-up and children again benefit from a healthy snack. As fuel for the body, sugar is useless. The ‘sugar high’ that follows a sugar loaded meal or snack wears off very quickly, leaving the body craving more sugar. The child then has to either feel cranky and miserable or refuelling with more sugar for another high. Not a good situation! Quite a few schools these days are checking up on children’s lunch boxes and even banning unhealthy and nutritionally ‘empty’ foods. Instead, parents are given suggestions for what snacks to provide. This practice is to be cheered on as it is not only benefitting the children’s body and brain health but it is teaching children about healthier lifestyles and diet. So be critical of what your learners (and own family) are eating for the sake of optimal development and school performance.